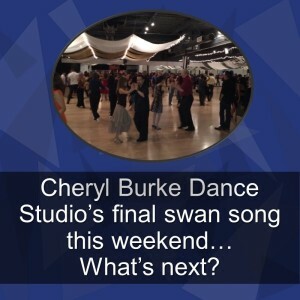 As Cheryl Burke Dance Studio closes, what’s next? 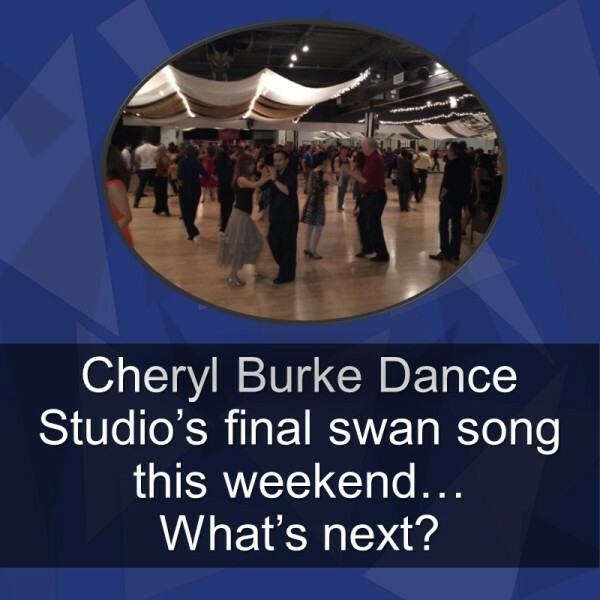 Cheryl Burke Dance Studio turns off its lights for the final time this weekend. One last party even as all the furniture and fixtures were being liquidated to go. Dumpsters were ready outside as LinkedIn starts construction of their new campus. For 7 years, CBD located at 1400 North Shoreline Blvd. Mountain View – Building A-1 was the largest ballroom in the Peninsula at 14,000 square feet, with 3 dance floors. 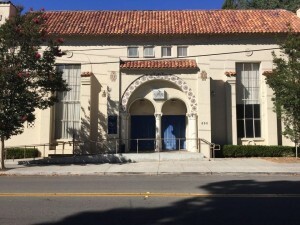 It was the popular successor to the even bigger and beloved Starlight Ballroom at 17,000 sq ft. which was previously located in Sunnyvale. It too fell under the axe of Silicon Valley’s urban sprawl. While the cost of real estate continue to rise, ancillary functions are edged out by large residential, retail and office developments. More and more lower end real estate are being converted to accommodate the mega-giants in the area. There are about 300-400 avid dancers that use the facility weekly and will be displaced as Cheryl Burke chose not to rebuild elsewhere. 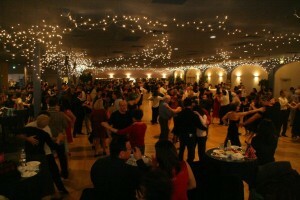 Although there are other large ballrooms over 10,000 sq ft, in the Bay Area, the closest is Cubberly at 12,000 sq ft. However, it is a gymnasium that doubles as a dance floor on the weekends. Needless to say, as it is not built as a ballroom, it does not have a sprung floor and an adequate sound system, so many will find it a poor substitute. Other large ballrooms are in the South Bay, 15-20 miles away. 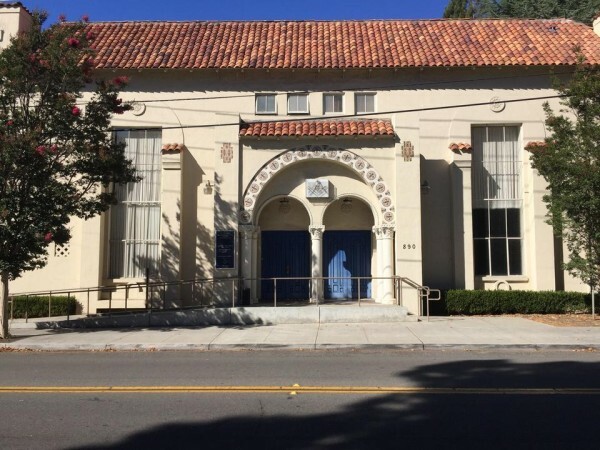 Chinese Performing Arts Academy (CPAA) at 6148 Bollinger Road, San Jose, CA 95129 is 14,000 sq ft with 4 dance floors and Dance Boulevard at 1824 Hillsdale Ave, San Jose, CA 95124 is 10,000 sq ft also with 4 dance floors. New Susan’s Studio, Top Dance and Premier are all under 10,000 sq ft. The other large ballrooms are in the East Bay. Allegro is 20,000 sq ft and have 4 dance floors and Just Dance is 10,000 sq ft with 3 dance floors. They are 35-45 miles away. What is else is out there? The First United Methodist Church, Fellowship Hall, 625 Hamilton Ave. Palo Alto, CA 94301; home of Friday Night Waltz is now also the home of the well-attended, now displaced, Wednesday Night Hop, as well. 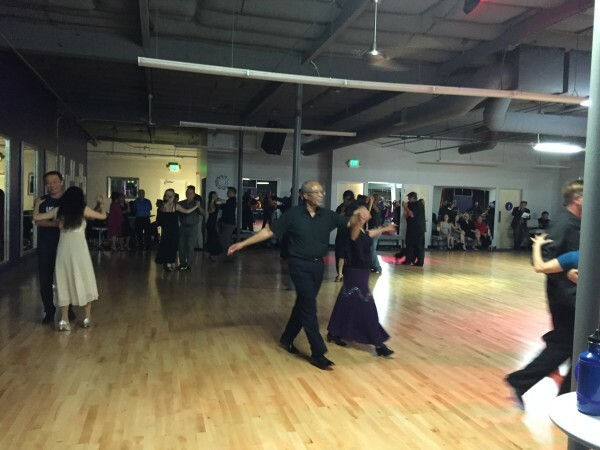 There are other specialty locations such as clubs, community centers and churches that already host other periodic dances or specialty studios hosting dance specific genres. Refer to www.dancemaven.com/events/locations/to find those. What’s new and up and coming? 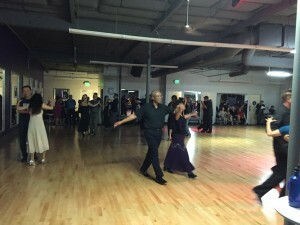 A new addition: The Starlight Ballroom, 4,500 sq ft at 5178 Moorpark Ave San Jose, CA 95129 has its grand opening on Oct. 10th, Saturday 8PM to Midnight. Owned by ballroom pros Andrea Faraci and Iveta Pauryte-Faraci, and latin pros Daniele Gozzi and Cecillia Giovacchini, they brought back previous Starlight owner Michael Reeves to run it. 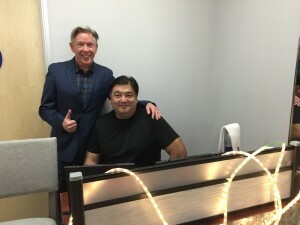 To keep the momentum and the following of CBD, a new group made up of professional ballroom dancers and instructors: David Weise and Raffaele Sabato, an d Paul McNamara, funding developer are putting together the next steps. They are looking for space over the critical mass square footage of 10,000 sq ft, it seems like the magic number for the party-goers is around 15K sq ft. They want it to be between Dumbarton Bridge and 237 Highway. So far, they have raised half a million from investors and need to raise another quarter of a million through additional investors or crowdfunding. They expect to be ready with their space as early as February or as late as April. The cost of the the spaces they are looking at has been a challenge as it is in the prime Google/LinkedIn/Apple locations. In the meantime, Raffaelle with Brigitte Levy, CBD’s manager, are joining forces to host lessons and parties 4 times a week at Mountain View. 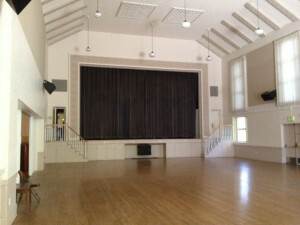 Called Step-up Ballroom, they will be at Masonic Lodge 890 Church St Mountain View, CA 94041. It begins Oct 8 & 11, this Thursday and Sunday. It will be an interesting year to see how these things shakes out, as dancers find their next favorite place to go. So long CBD, we have many happy memories of the many hours we spent dancing there. It will be missed.